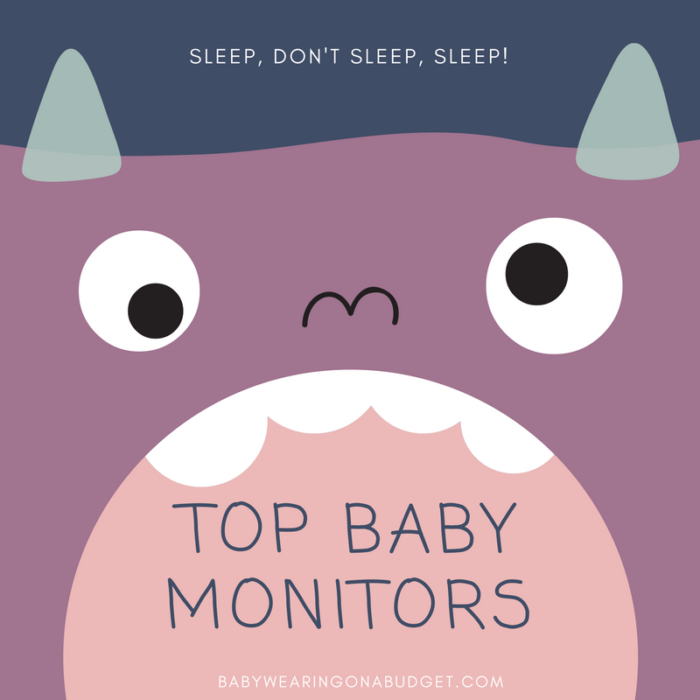 Top Baby Monitors - Sleep, Don't Sleep, Sleep! When you’re a new parent, you are concerned about baby sleep. Is she sleeping? Is she not sleeping? I don’t hear a noise, is she alive? <<– Trust me, that thought ran in my head ALL.THE.TIME. In fact, at one point, around Month 5, while my baby daughter slept soundly, I poked her to see if she was still alive. She woke and that was the end of our “she sleeps through the night” phase. I’ve been paying for it ever since. We registered for a video baby monitor, which worked well except I had to keep pressing the video button to see our daughter in her crib. It would shut off after a while because it was sound-activated. I should have done more research on monitors that would stay on so I could watch her anytime. Some parents prefer no camera so they’re not obsessing over their baby’s sleep and get them when they cry out. Looking back, I think I could have gotten away with a sound-only monitor because our apartment was so small. Then again, we lived in a two-story townhouse apartment and our baby was upstairs in her crib while we were sometimes downstairs trying to eat dinner. I rounded up a short list of baby monitors, which I think may work with your needs. Summer Infant Babble Band – I just learned about this band by a customer of mine! She has a 4-month old and she loves it because she can take both the band and monitor everywhere she goes. For example, they’ve gone to family gatherings where baby is sleeping in another room and mom is outside in the backyard. The band will notify her if baby wakes; it is sound-activated. 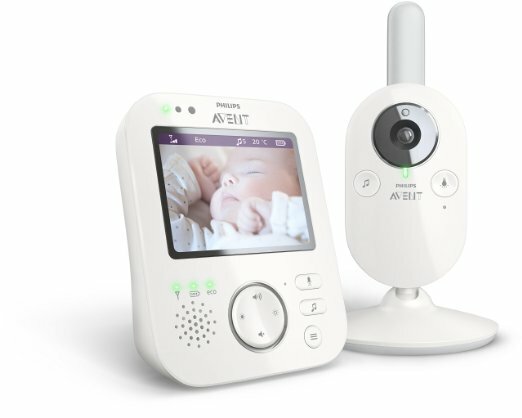 Philips AVENT SCD630/37 Video Baby Monitor with FHSS – The name of this monitor is a mouthful! It’s a highly rated monitor on Amazon – with parents who live in multi-story homes; sound and video quality are great. This seems to be a new version of a well-liked model, so it may be prudent to check out the old model and see if there’s a price cut. Samsung SEW-3043W BrightVIEW HD – Now this is the fanciest monitor I’ve seen yet. It’s got a touchscreen monitor and infrared camera. Most of the reviews are happy with the monitor, but it seems everyone wants a monitor that you can see via a mobile app on your phone. This does not have a mobile app. 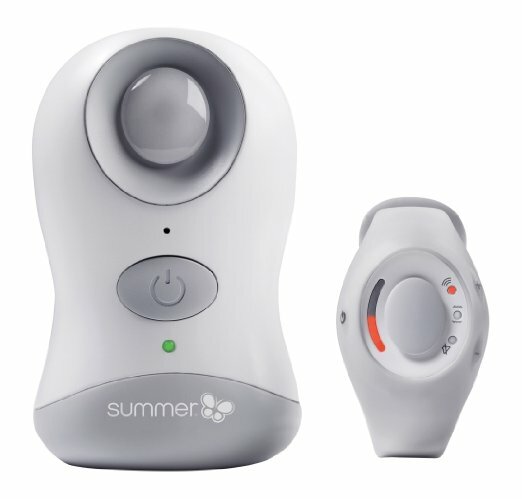 Baby Snuza Hero Baby Movement Monitor – Now this clips to your baby’s diaper! It’ll detect the slightest movement by baby. If there isn’t movement in a period of time, the Snuza will vibrate gently to rouse the baby. It will alert you if the baby isn’t moving for a series of nudges. I wonder if I would have had better peace of mind if I had used this instead of a video monitor. I don’t know…. There are hundreds of other baby monitors out there, but I picked these four for their highly rated reviews. You may want to also check out cameras that work with your wifi and smartphone! There are apps where you can download and run with a camera, so you can be anywhere and check on baby. 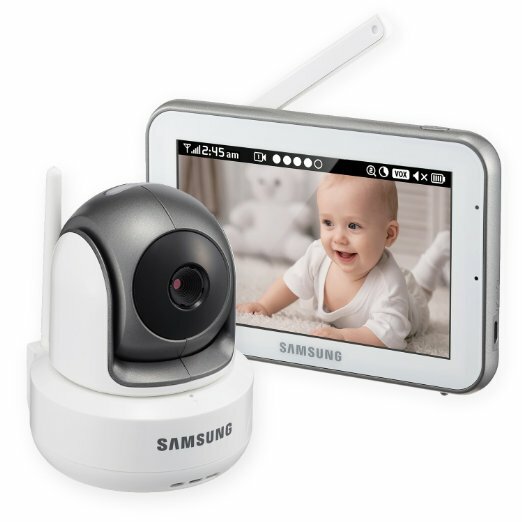 Do you have a baby monitor that you like? Tell us what you would recommend to a new mom!